Ductal carcinoma in situ (DCIS), a pre-invasive, early form of breast cancer arising in the milk ducts of the breast, is a diagnosis that is often met with both concern and confusion about treatment approaches. There has been extensive discourse on the topic of how to treat, or even if to treat, DCIS with some physicians adopting a “wait-and-see” approach for low-grade DCIS and others recommending aggressive treatment involving both surgery and radiation to prevent future recurrence. It is estimated that about 25 percent of DCIS cases will progress to invasive breast cancer, a statistic that drives the aggressive treatment of DCIS patients. 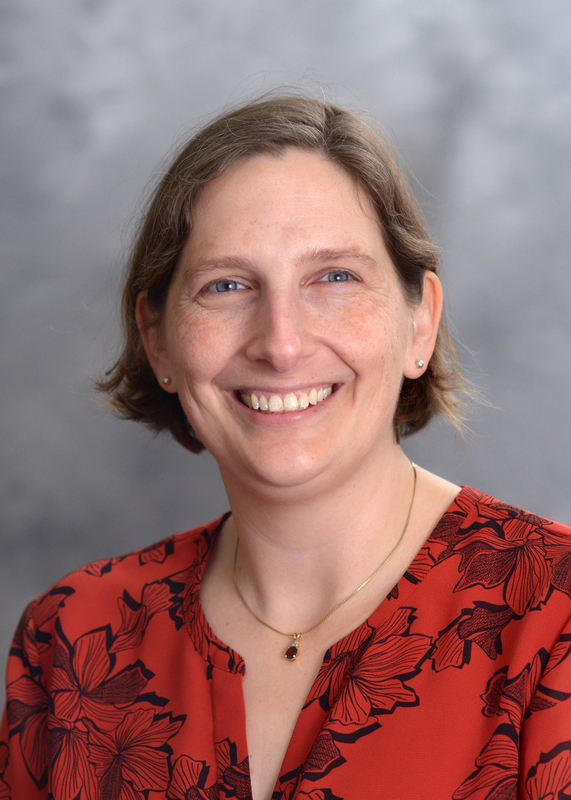 Sasha Stanton, MD, PhD, acting instructor at the University of Washington School of Medicine and member of the Tumor Vaccine Group, is all too familiar with the difficult decisions facing patients diagnosed with DCIS and their doctors. As a physician, she has seen patients receive aggressive treatment for DCIS to eradicate the disease, only to have it recur as invasive breast cancer. However, Stanton is not just a physician; she is also a scientist leading a research program focused on developing vaccines for breast cancer. Therefore, witnessing such therapeutic setbacks in her patients motivates her to understand the cause of these setbacks, and how treatment can be improved to provide a better outcome for her patients. In 2015, Stanton received a Breast Cancer Research Foundation-AACR Career Development Award for Translational Breast Cancer Research to support her work aimed at developing a vaccine for breast cancer prevention. This research focus arose from Stanton’s desire to design a novel therapy that could impact what she considers the two major deficiencies in the current standard of care: overuse of aggressive treatment for DCIS and a lack of durable therapy to prevent DCIS recurrence or progression to invasive breast cancer. “My research program is centered on trying to determine the best vaccine and antigen targets (tumor-associated proteins to use in the vaccine) to develop a therapeutic DCIS vaccine,” Stanton says. “Beyond treating DCIS, we can also envision the use of vaccines in high-risk women (for example women with a BRCA1 or 2 mutation or with a strong family history of breast cancer) to prevent the development of the disease.” Stanton notes that this use for breast cancer vaccines remains a long way off, but is an exciting goal that could revolutionize prevention and treatment in the future. When asked about the impact of the funding she received through the Breast Cancer Research Foundation-AACR Career Development Award, Stanton displays both gratitude and dedication to her work. “This grant has been instrumental in allowing me to identify DCIS antigens and do the pre-clinical work that is needed to develop the breast cancer vaccine. 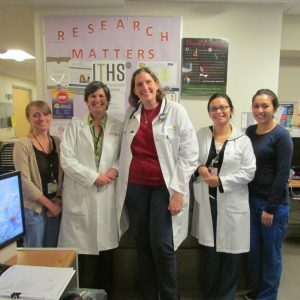 However,” she says, “it has provided so much more than just funding.” Indeed, Stanton notes that receiving this grant facilitated important connections with prominent breast cancer scientists at home and abroad that will advance her research even further. Editor’s note: The Breast Cancer Research Foundation (BCRF) is a longstanding partner of the AACR. Since 2007, BCRF has provided more than $3 million in funding for breast cancer researchers through this partnership. Beyond its current support of career development awards, BCRF will expand its partnership with AACR in 2017 by sponsoring one AACR NextGen Grant for Transformative Cancer Research. This grant will be named for Nancy E. Davidson, MD, current AACR President and BCRF Scientific Advisory Board Member, in recognition of her important contributions to the field of breast cancer research. The recipient of the BCRF-AACR NextGen Grant for Transformative Cancer Research, in honor of Dr. Nancy E. Davidson, will be announced at the AACR Annual Meeting 2017 in Washington, D.C.
How Should DCIS Be Treated?